After the U.S. House of Representatives passed a $1.4 trillion tax cut package last month, U.S. Rep. Jason Lewis hailed the measure as a necessary change to the tax code. "Families in Minnesota need a tax code that works for them," said Lewis, R-Minn. "That's what I voted for today. We need lower taxes on middle class families and small businesses." Congress is still debating whether the particular changes in the Republican tax plan — currently being negotiated between the Republican-controlled House and Senate — are what Minnesota families need. Rep. Betty McCollum, D-Minn., called it a "tax scam"that "raises taxes on middle class Minnesotans." Beneath the political back-and-forth, though, is a fundamental question: How much money does government need to operate, and who should pay? 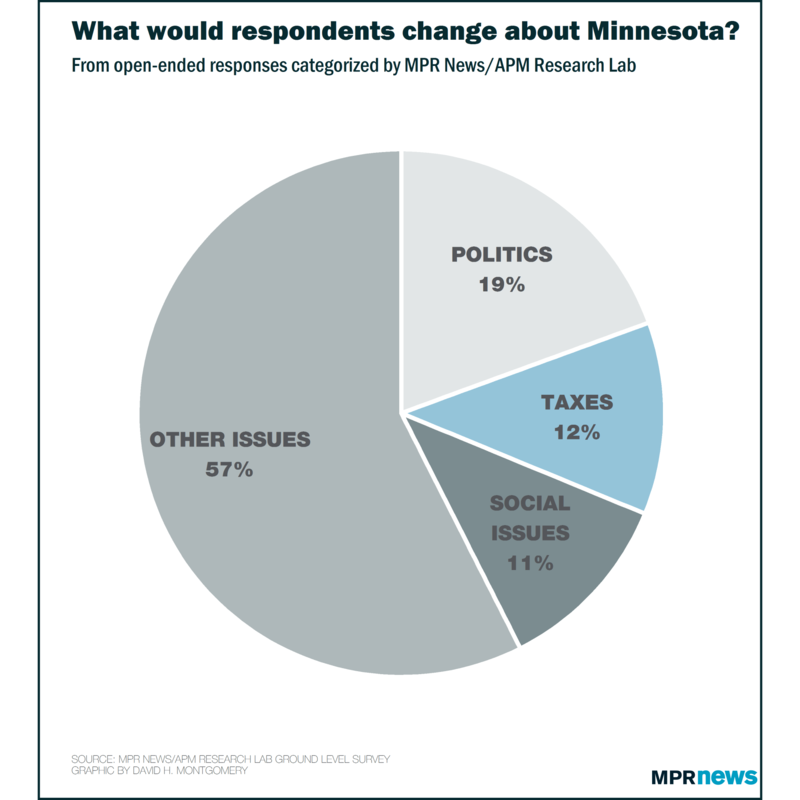 The national tax code overhaul wasn't a reality when MPR News and its sister organization, the APM Research Lab, conducted a survey this fall, so we didn't ask how Minnesotans feel about it. 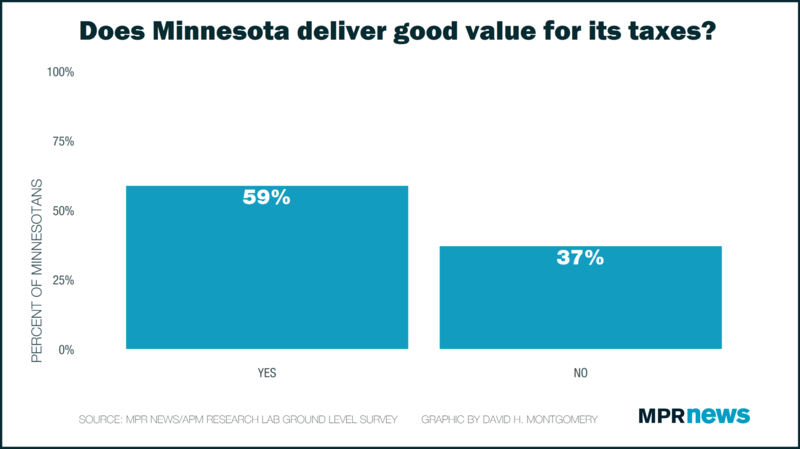 But the survey did try to gauge whether Minnesotans thought they were getting their money's worth, asking: Do Minnesotans feel like they're getting a good value for Minnesota taxes they pay? Minnesota collected about 9 percent of the state's economy in state taxes in 2015, not counting federal taxes, those from local governments, or earnings from investments. That's the 11th highest share of the economy of the 50 states. 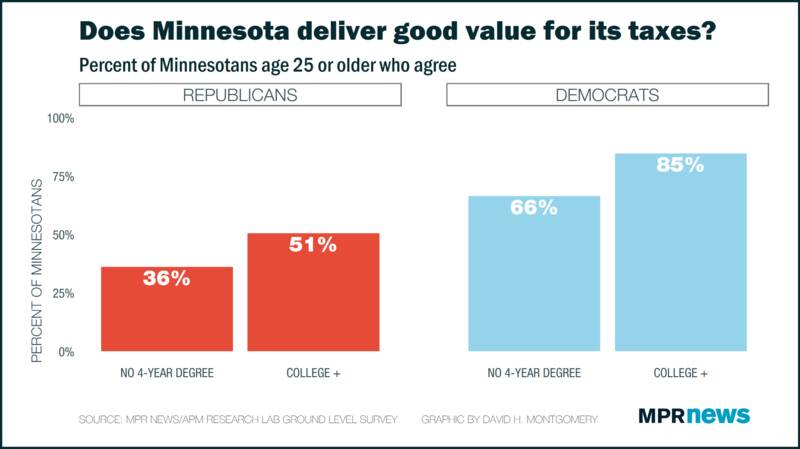 But the Ground Level survey of 1,654 Minnesota adults found a majority of believe "government in Minnesota is providing a good value for the taxes you pay." This wasn't true in all groups. Notably, a majority of Republicans — the party that emphasizes lower taxes and smaller government — thought Minnesotans aren't getting good value for their taxes. 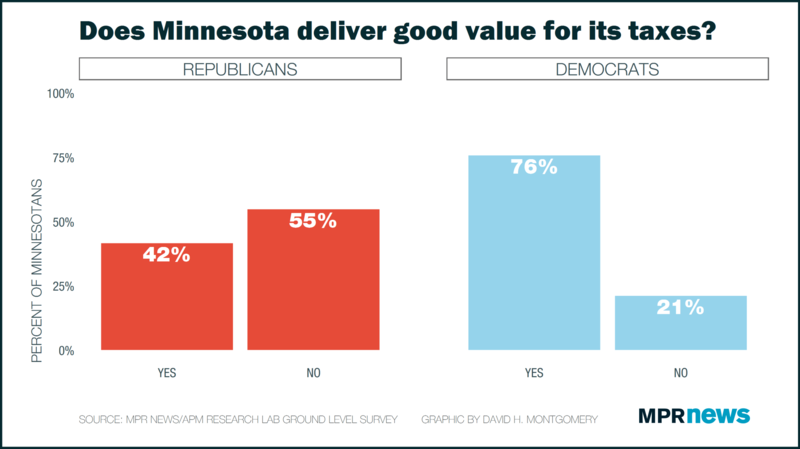 Meanwhile, Democrats overwhelmingly said Minnesota government does give a good value. Minnesota's governor, Mark Dayton, is a Democrat. Republicans control both houses of the Legislature. There are differences within the parties, too. Democrats and Republicans with more education are more likely to agree that they get a good deal for their state taxes. Republicans without a four-year degree are the most pessimistic about the value they get for their taxes, with just 36 percent agreeing. That rises to around half of all Republicans with a four-year degree or more. Two-thirds of Democrats without a four-year degree say they get a good value for their taxes, as do an overwhelming 85 percent of degree-holding Democrats. The MPR News/APM Research Lab survey found no significant differences based on income. That's not to say that many Minnesotans wouldn't prefer a tax cut. The Ground Level survey asked respondents what one thing they would change about Minnesota, in their own words. Respondents talked about everything from politics to health care to the environment, but one consistent theme was taxes. That was the focus of 12 percent of respondents, second only to changes to the state's politics. Of the people who mentioned taxes as the thing they would change, 85 percent said they would lower Minnesota's taxes. "Minnesota is the land of being taxed," one suburban man said. "How about better spending rather than more taxes?" A full 3 percent of respondents, more than four dozen, simply said "lower taxes" when given the opportunity to change anything about the state. Only a handful of people specifically asked for higher taxes. 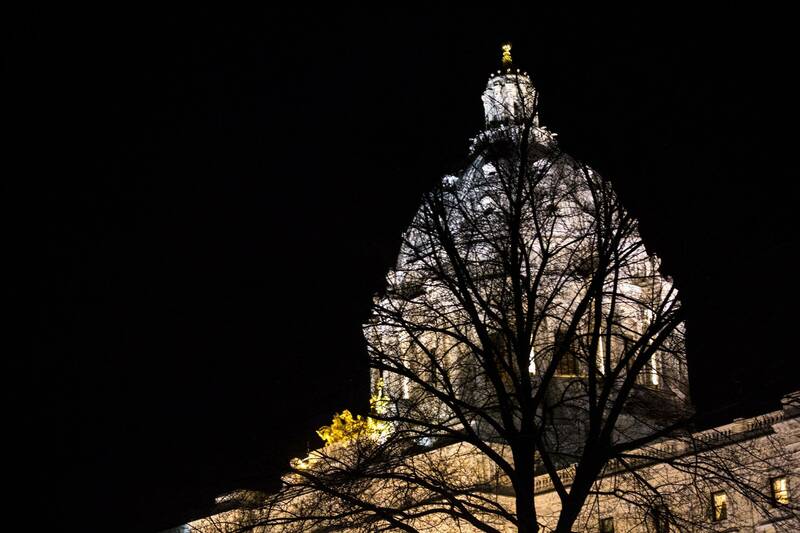 "Increase the taxes of the fairly well-off people and keep the state financially sound, since it has been for many years," said a male Twin Cities resident. Correction (Dec. 6, 2017): Minnesota collected about 9 percent of the state's economy in state taxes in 2015, not counting federal taxes, those from local governments, or earnings from investments. That's the 11th highest share of the economy of the 50 states. The percentage and ranking were incorrect in an earlier version of this story. What should MPR News cover next?